LaTonya Yvette is a lifestyle blogger with a focus on motherhood, style and the pursuit of creative joys in and outside of it. Amongst the many things we love about LaTonya, insanely stylish, admirable mother to two beautiful babes, River and Oak, LaTonya is authentic to the core! 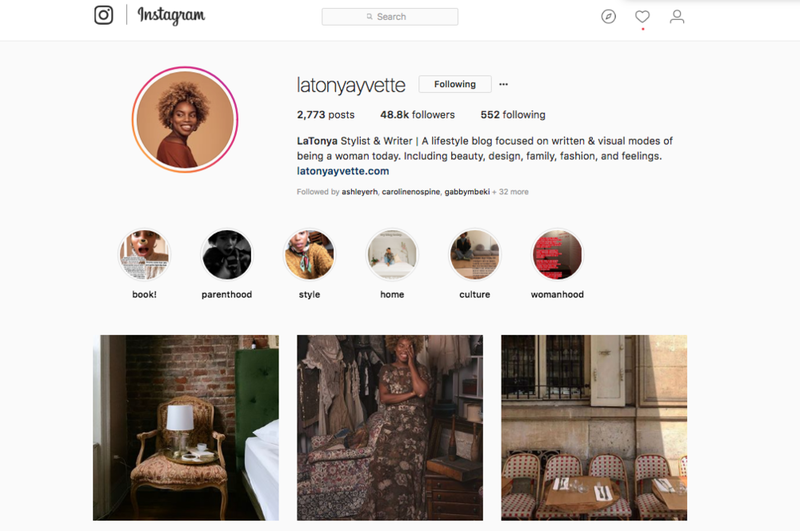 From being interviewed by the Cut, writing pieces for InStyle, and sharing via her own platforms LaTonya lets us into her life in an honest and inspiring way. Everything from learning to love her post-baby body, to what power means to her and so much more. The consistency and transparency behind the LaTonya Yvette brand bring a unique level of trust and joy to her following, one that can sometimes be hard to come by, especially in this day-in-age. Speaking of joy, we love LaTonya’s brand message “trying to find the joy inside and outside it all.” Trust us if you haven’t thrown her the follow yet we highly suggest doing so. Her Instagram feed has that moody New York aesthetic you can't help but fall in love with, pictures of her gorgeous family and beautifully styled Brooklyn Brownstone ... but what we love to most about @latonyayvette, are that her captions share so much insight and inspiration through deep meaningful quotes, raw, real-life experiences, plus the exciting news about what’s going on in her world … did you know that she has a book coming out?! WE ARE SO EXCITED! You can find out more about LaTonya HERE and HERE. Leave us a comment below, if you find LaTonya as inspirational as we do!